A CUT ABOVE! THE FINEST RE-SALE EVER OFFERED AT THE VILLAGES! 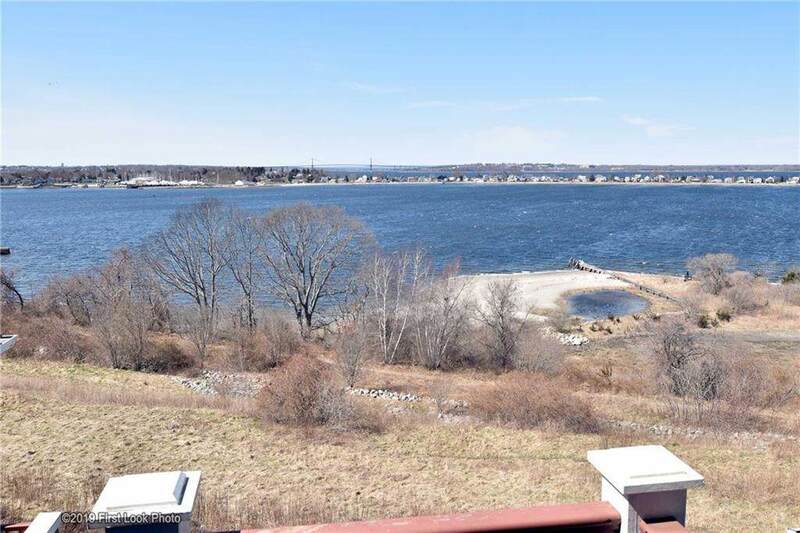 Step in and fall in love with this Newport model townhome with sweeping water views of Sakonnet Bay and the iconic Mt. Hope Bridge. This townhome features approachable elegance and custom detailing with unique flair you won't see anywhere else. The living and dining rooms feature custom lighted cabinetry with glass shelving crafted by a cabinet maker/shipbuilder. The Chefs Kitchen lends itself to stress free entertaining and is enhanced by the granite countertops and California hand blown glass tile backsplash and a sizeable dining area with slider to deck. Master suites on both 1st and 2nd levels feature, custom closets and marble spa baths with whirlpool tubs and separate marble showers. 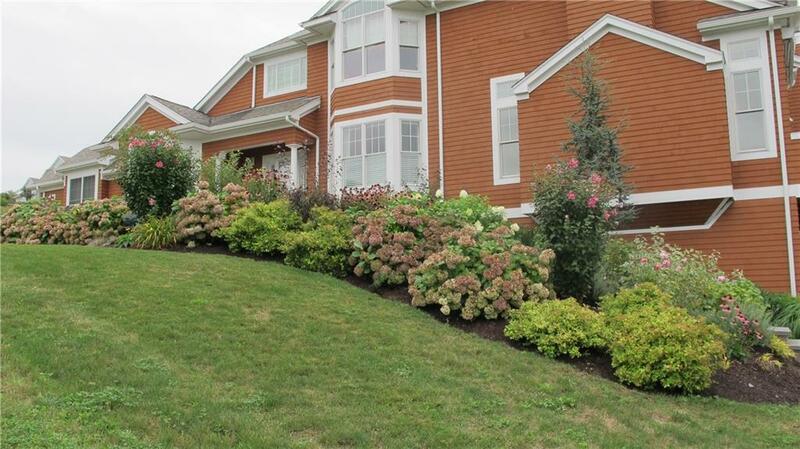 Approaching this distinctive townhome, you are greeted by the eye-catching, trellised fence. Lush, professionally landscaped grounds and craftsman built stone walls abound. Exterior steps lead to patio surrounded by oval shaped stone, craftsman built wall. This vibrant, active 55+ adult community offers a distinctive 10,000 sq. 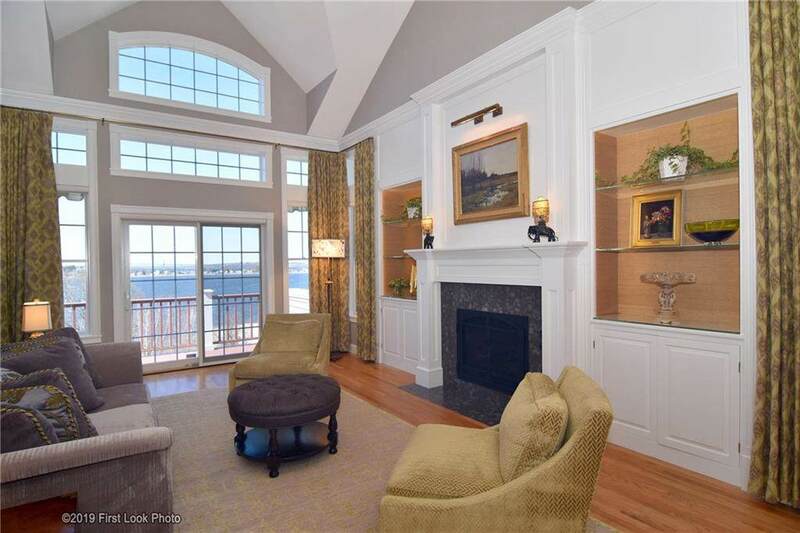 ft. Clubhouse featuring a beautifully appointed clubroom with stone fireplace and kitchen There is a gym and poolroom. Step out of the clubhouse to the heated pool. Tennis courts with pickle ball, too! Activities incl., bridge, mahjong, reading groups, water aerobics, tai chi, remote sailboat racing, crafts, golf groups and tennis round robins. A Rhapsody of colorful sunsets, too! Love where you live! 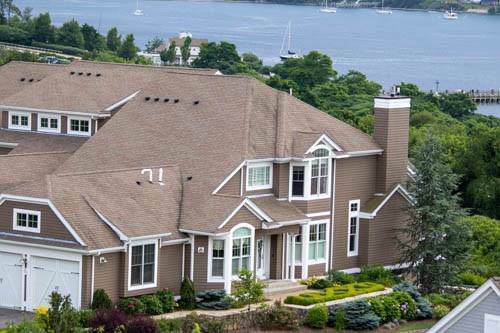 Adult Community YN Yes Approximate Heat Cost Undetermined Approximate Total Liv Area 3116 Assessment 720400.0000 Association Fee 820.0000 Association Fee Per Month Building Levels 3 Community Amenities Community BuildingOutdoor PoolTennis Courts Complex Name Villages Mt. Hope Bay Electric 200 AmpsCircuit Breaker Elevation Certificate No Fire District Tax 662.7700 Green Construction YN No Heating Fuel Gas Historic None Living Area Source Public Records Near Commuter BusGolfHighway AccessHospitalMarinaRecreational FacilitiesShoppingSwimmingTennis Occupancy Close Negotiable Pets Allowed Yes Pets Allowed Description Large Dogs (Over 25 Lbs. )Pets NegotiableSmall Dogs (Under 25 Lbs.) Real Estate Taxes 11807.3500 Real Estate Taxes Yr 2018 Reo Or Bank Owned No Sewer ConnectedPublic Connected Short Sale No Subsidized Housing No Time Share YN No Under Construction No Underground Tank Size Unknown Underground Tank Type Unknown Unit Floor Number 1 Unit Levels 3 Water Supply ConnectedIndividual MeterPublic Connected Zoning Res.